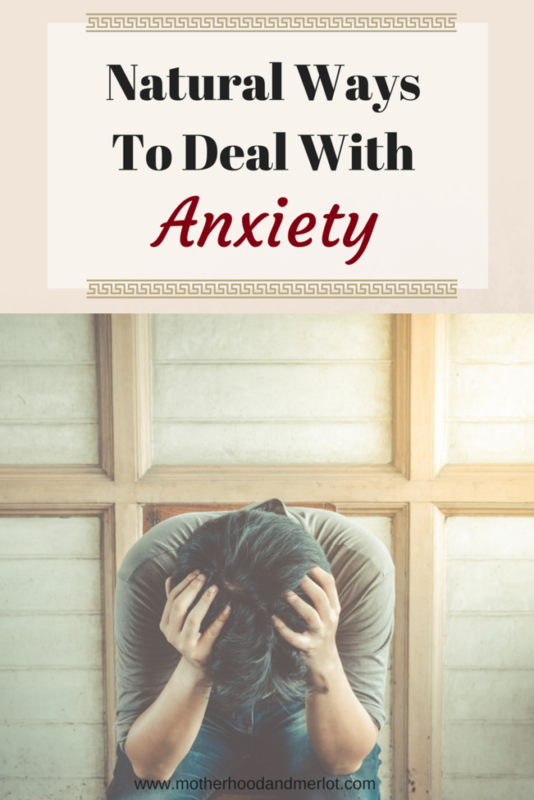 Over the past year, I have been working hard to get my anxiety under wraps. It is extremely draining, mentally and physically, to battle with all that anxiety can throw it you on a daily basis. I have really been searching for something to help with it and I have tried A LOT of different methods. On the other hand, we ALL deal with some type of stress on a daily basis. Whether it be work, finances, school, parenting… the list goes on! I am sharing some of the ways to combat stress that I have found truly work that best. To those struggling with anxiety and stress, I hope that some of these help you or add to your list of things that help you deal with the beast. *I was sponsored in my review of some of the products in this post. All opinions in this post are 100% my own. Essential Oils: There is some debate as to what essential oils actually do for you, and the FDA is not their biggest fan. For me, I can’t say that essential oils cure anxiety by any means. However, I have found that they really helped to ease my stressful triggers when I felt my anxiety rising. A sweet friend of mine made me a few rollerballs that I carry around with me, and some of the oils in those that I noticed a difference with are Lavender, Bergamot, Chamomile, and Frankincense. I have a rollerball with me everywhere I go, and it is serious a lifesaver in situations where my anxiety might try to get the best of me. Mantras: Finding a mantra to repeat to yourself when you feel an anxiety attack coming can do wonders to calm you down. One of my favorites is a verse, Psalm 94:19, that says, “In the multitude of my thoughts within me thy comforts delight my soul.” It has calmed me down during full-blown panic attacks, helped to soothe my mind when I can’t sleep. Acupuncture: I tried this a few times when I was about five or six months postpartum. I was not a huge fan at first (hello, needles). After a few sessions, I noticed a big difference especially during and after the treatments. I was a lot calmer, and the results of that lasted for a few days. I went twice a week, so it seemed to help for a little while. Exercise: I love exercise for anxiety and stress. I workout 6 mornings a week, without fail, and twice on two of those days. It seriously saves my sanity to have those few precious moments to myself, to workout, clear my head, and help calm some of the stress from the day before, before a new day with my four little ones starts again. A little history behind the RESCUE® brand, they were developed by a doctor more than 75 years ago. Completely homeopathic RESCUE® products have helped millions of women around the world deal with the day-to-day stressors that we all deal with. A blend of five of the Bach® Original Flower Remedies, over-the counter RESCUE® provides gentle, non-habit forming everyday stress relief, without a prescription or any heavy, daily medications. If you want to learn more about these products or pick them up for yourself, head over to their website. Don’t forget to use code 20RescueJoa to receive a 20% off any RESCUE® products on Amazon. What are some of the ways that you combat stress and anxiety? I love posts like this – I will take any tips or ideas to deal with daily anxiety. I love my oils and need to use them more. Prayer for sure and fitness help me too. Thank you for your honesty – you are not alone! I’ve never tried a cortisol blocker, interesting idea. Lavender does tend to help take the edge off my stress. I recently got some lavender oil and it is really nice. I’ve never been an oil person so it was a pleasant surprise. Acupuncture (and prayer!) were great helps to me during pregnancy. Thank you for the list! This is a wonderful resource, Joanna. Having been in the same position and wanting to avoid medication, thank you for sharing. I’ve never tried cortisol blockers – will look into them, thanks! Essential oils and prayer sound wonderful. YES to the essential oils and rollerballs! I have them too! I also have another item I’ll be writing about soon that may be beneficial as well. Sorry to keep you in suspense! lol It’s so cute & well worth the wait! Also, look for crystals! There are some with healing qualities. I have some of those too that I keep in my pocket. Ohh I can’t wait to read it! Wonderful tips and ideas! Exercise and getting outside is also SO important! Oils, mantras, and prayer are my go to combo for stress. I started journaling and writing down my daily gratitudes and positive things that happened in my day. That helps a lot too! Thank you for sharing your story ? You have some great strategies for coping with anxiety. I never knew about cortisol blockers. I am going to have to look into that. It may be a good option for some of my anxious clients. These are great tips! I used to get horrible anxiety and I wish I would have known about essential oils back then! I deal with anxiety too, especially these past months – wonderful tips! Prayer, prayer, prayer is key and I type out “mantras” and sometimes bible versus and put them where I can see them. Positive reminders help me calm down. Thanks for this great article! Really great tips! I know nothing calms like Prayer!! I actually just started to research essential oils but I am glad to hear that you like them! There is so much to learn about them and I want to be sure I use the right ones before I dive in. I try my best to use natural methods for most things ever since I was pregnant with my son. I have been getting into essential oils pretty slowly but I love that there are so many options I can use to help my son also. But I do think that prayer is definitely the best option! Wow, this is such helpful information. I’m so happy you took the time to share, and more importantly that you have found what works for you! These are all great! It is such a hot topic right now so I love to see anything positive written about the subject. Love this. Thank you for this, Joanna! I think it’s so important to realize that there are other options outside of taking medications. This is something that I’m exploring myself for my postpartum depression. I love all my essential oils and their benefits. I’ve never heard of Cortisol blockers but they sound interesting. Definitely looking into to those! With my anxiety sometimes… but things like meditation can really work wonders! Love this! I have never been one for medication either! If I use oils regularly I notice I crazy difference for me too! Thanks for sharing this! I’ve been experiencing tremendous anxiety and panic attacks along with some mental issues dealing with my speech and memory and I share the same desire to try all other methods before I seek out prescription options. Essential oils is a great tip! I also have begun…BEGUN meditation…I say that because it IS NOT easy, it takes discipline but wow can it pull me out of a very dark place. My mantra is “You’re fine. You’ve got this.” And “This is out of your control and thats ok. Just let it be.” Thank you for posting Joanna. We need more awareness and positive outlets! Oh lady, I totally know where you are coming from! You have been in my prayers. I have done accupuncture before and it was amazing. I really need to go back and do it again! These are such interesting ideas. I’m not big into oils but I do like lavender and find it does tend to relax me. I am not huge into oils, aside from these:) I think they work wonders! Thank you for sharing these! I see some I need to try! Anxiety is no joke! I can 100% agree with all of these. Especially mantras and essential oils. And completely right–essential oils don’t necessarily cure anxiety but they do help calm me. Acupuncture and chiropractic is helpful for me in general, too. Also Joanna, it got to the point for me I was have anxiety daily. And my husband even started looking into threads and forums because it was getting so bad. He found a connection with caffeine and I gave up caffeine after. It’s night and day difference. I also try to do something I enjoy to take my mind off of my worries like knitting or coloring. Thanks so much for sharing! I as well last year became an anxiety sufferer. I do a lot of praying, st johns wart and keep my mind busy. I my self am going to grow some lavender because I’ve heard that it works well. I hope all is well with you. Your a strong woman! Prayer also helped me, tea, and I love listening to KLove (94.3) Christian radio station. I love Bach’s Rescue Remedy! I broke my ankle several weeks ago. I wish I would have thought to take it then because I always have one or two spray bottles stocked. I know it would have helped my anxiety during the ER visit! These are all some great ways to deal with anxiety. Ive recently gotten into using essential oils more after learning of all the amazing benefits.